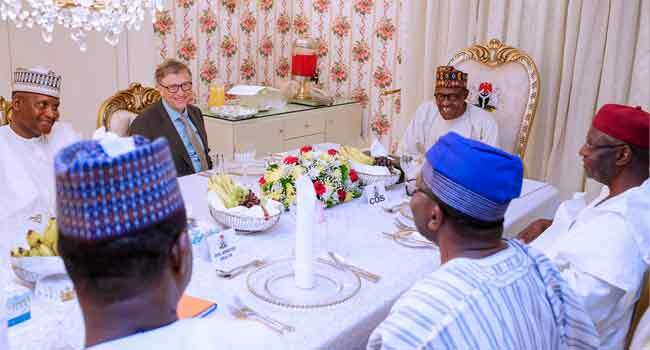 President Muhammadu Buhari on Wednesday hosted philanthropist and Co-Founder of the Bill and Melinda Gates Foundation, Bill Gates to a dinner at the State House in Abuja. Africa’s richest man, Aliko Dangote, and top government officials were also at the dinner. 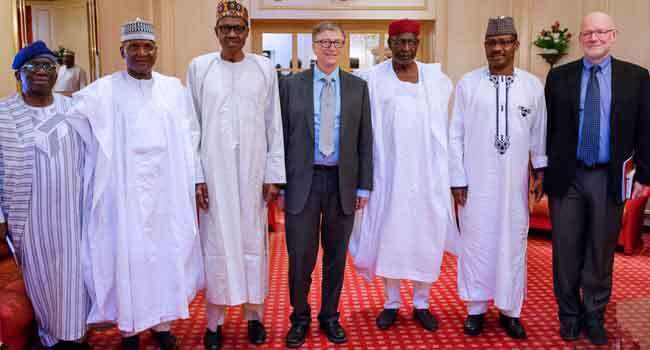 Gates and Dangote are among those scheduled to speak at a special session of the National Economic Council on Thursday. The session will take place at the old Banquet Hall of the Presidential Villa, Abuja, according to Mr Laolu Akande, the Senior Special Assistant to Vice-President Yemi Osinbajo. 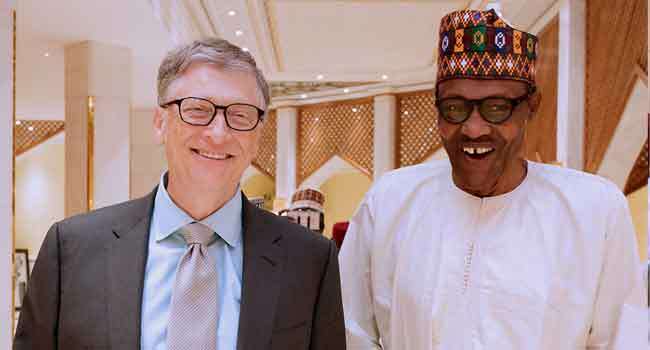 “The special session, which comprises the Federal and State governments, will also be attended by Alhaji Aliko Dangote, Chairman of the Dangote Foundation, and Bill Gates, Co-Chair of the Bill and Melinda Gates Foundation,” a statement by Mr Akande read in part. The national Economic Council is chaired by the Vice-President and has all 36 state governors, the Governor of the Central Bank of Nigeria, and ministers as members. 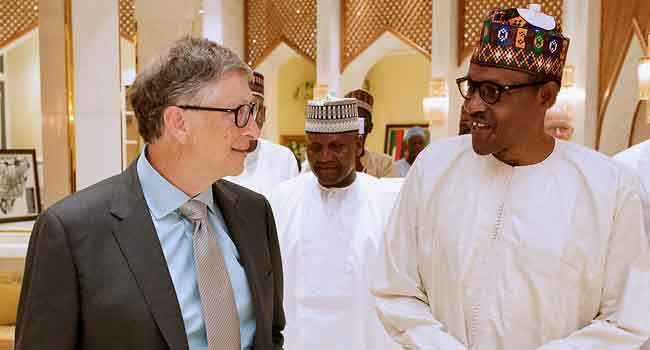 The Bill and Melinda Gates Foundation has been playing significant humanitarian and philanthropic roles in Nigeria in the areas of polio eradication, maternal health and other areas.